This condo complex is your one-stop ocean getaway destination. 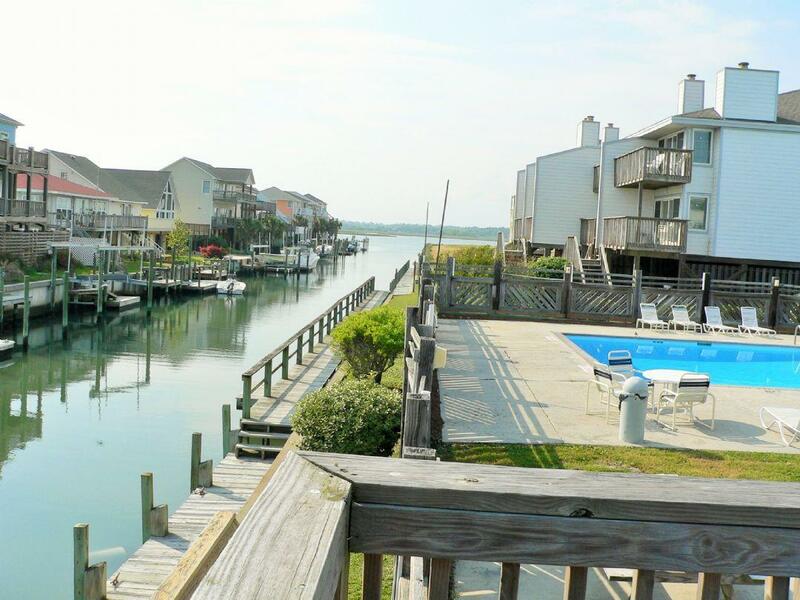 All guests of E-215 can enjoy the oceanfront proximity of the condo with beach access, use of the clubhouse featuring a fireplace, kitchenette, lounge area, pool, locker rooms, hot tub, boat launch/storage, docks and community-wide wireless internet. This particular condo, unit E 215, is a two bedroom, two bath condo located on the second floor. A beautifully decorated interior welcomes you to the beach. The initial hallway opens up into a small laundry area to your left. Continuing into the main living area, the kitchen, dining and living rooms are all located in the main portion of the unit. A comfortable leather couch and love seat give sweeping views of the Atlantic Ocean while you sit and watch TV! The master bedroom with king bed sits beside the oceanfront deck as well. Sliding glass doors off the master bedroom also provide access to the oceanfront deck. A private bathroom for the master bedroom is located to the left as you enter the room. Bedroom two, located on the sound side of the unit, has a queen bed and boasts a beautiful sound view from the window. Bedroom two also has a small balcony over looking the sound and boat dock. Finally, there is also a small roll away bed as well that can sleep one additional guest. This is truly a beautifully decorated Queen's Grant condo. Great care has been taken to ensure you feel right at home while on vacation. Here, a great value and coveted location await! What more could you need? "We had wonderful time staying at Queens Grant E-215. The unit is tastefully decorated and comfortable. The kitchen is well stocked. 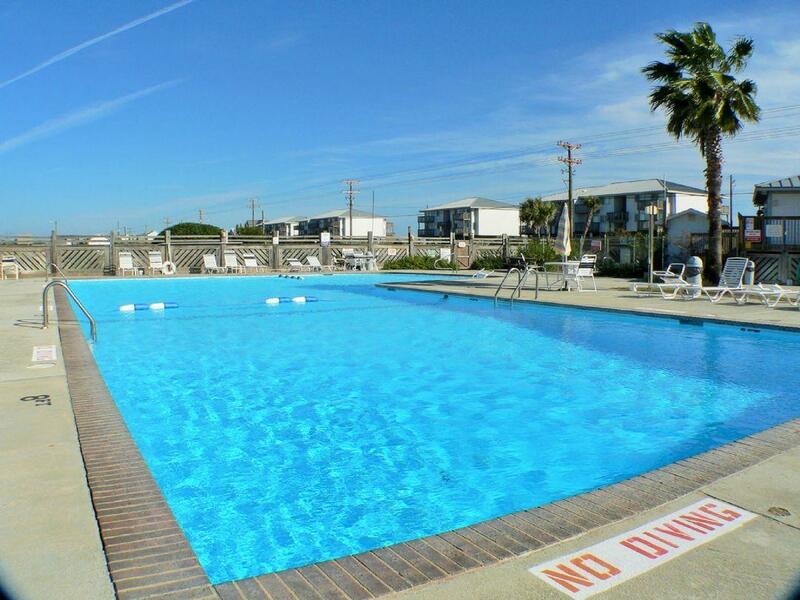 The views of the ocean and bay are breathtaking and access to beach, pool and bay is quick and easy. The only complaint is the WiFi. It seems that everyone in the building uses the same connection making it extremely slow and at times unusable. Otherwise a perfect stay and we will be back!"